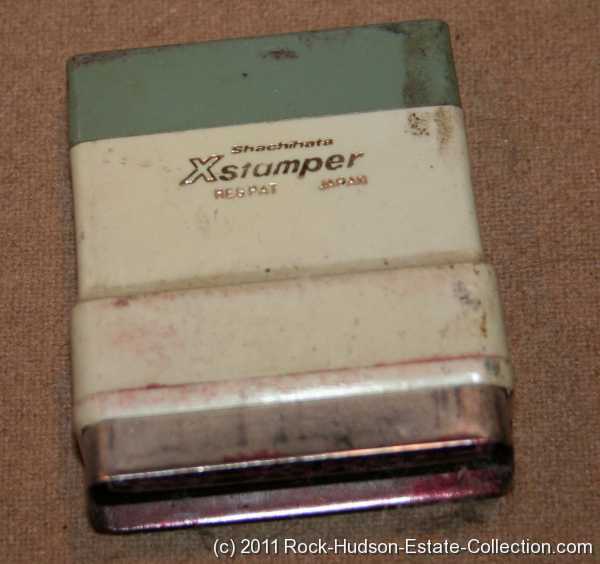 Here is something fun and something Rock used almost everyday!!!! 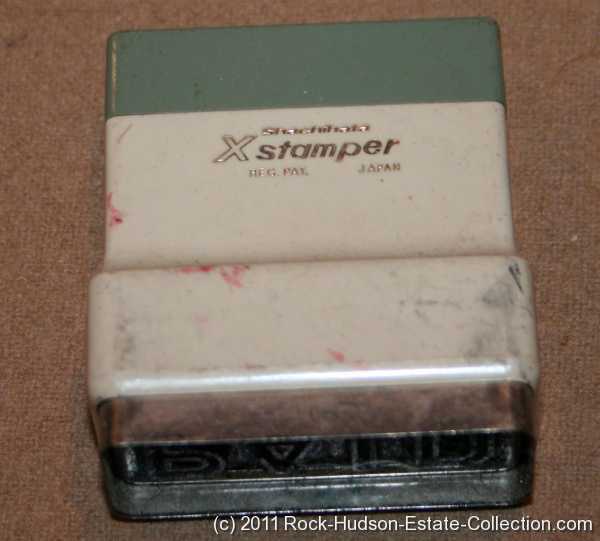 If you ever asked for a photo from Rock, and were sent one.... or if you ever had a package sent to you by Rock for almost any other reason, or, if you were one of Rock's good friends and knew how playful he was and received a letter or package from.........yea, Rock, chances are that he used one of these stamps on your package and you should recognize it. 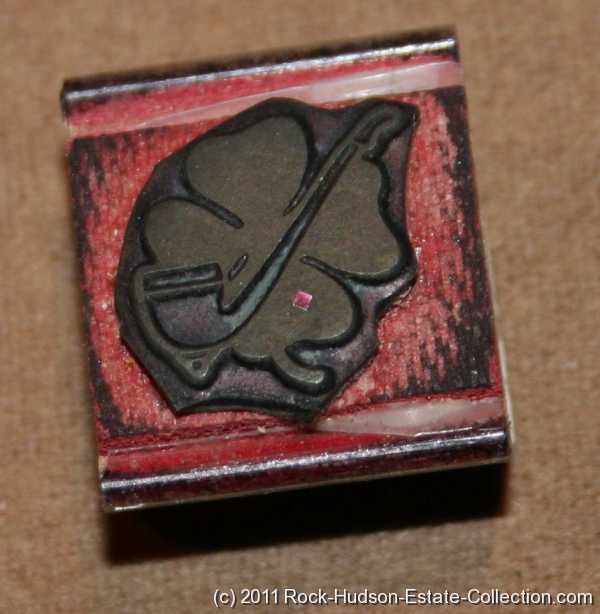 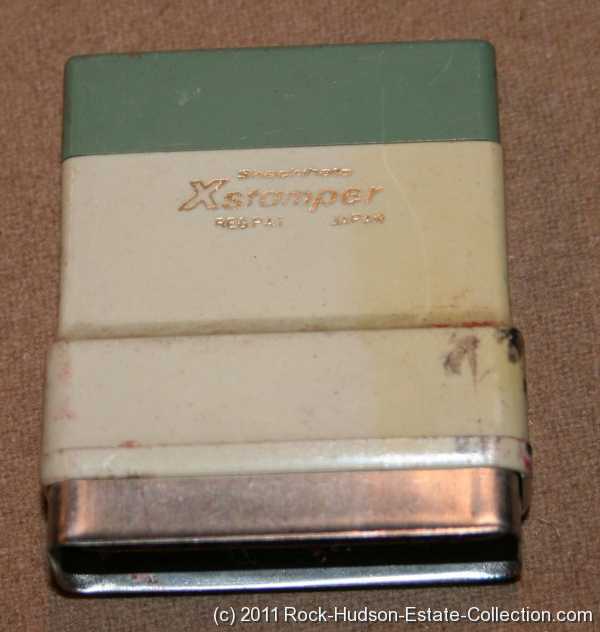 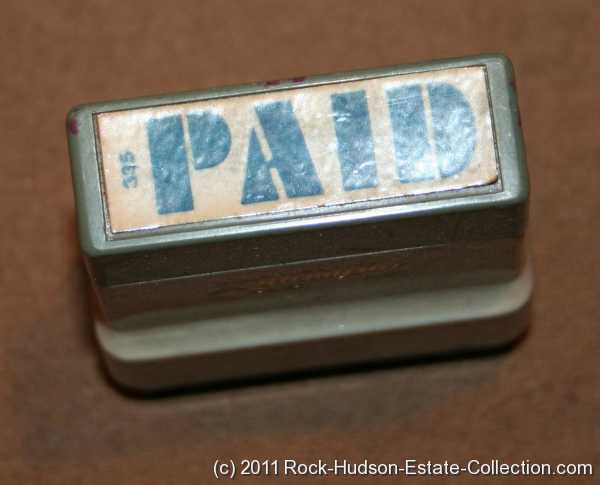 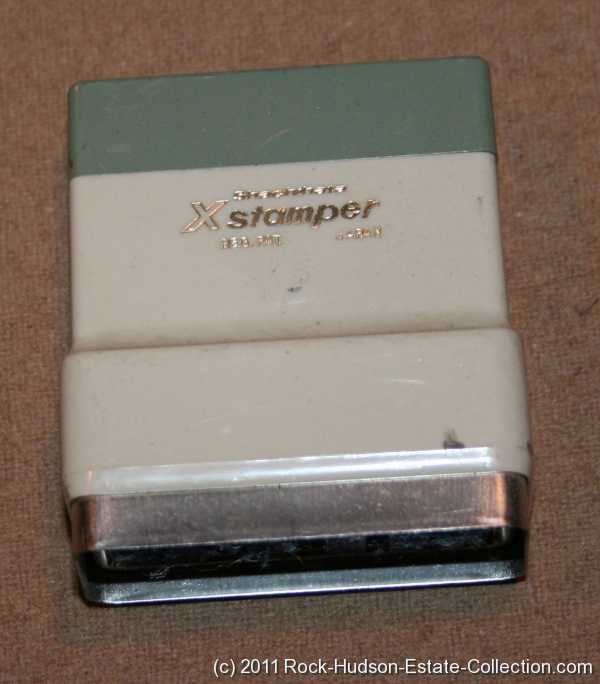 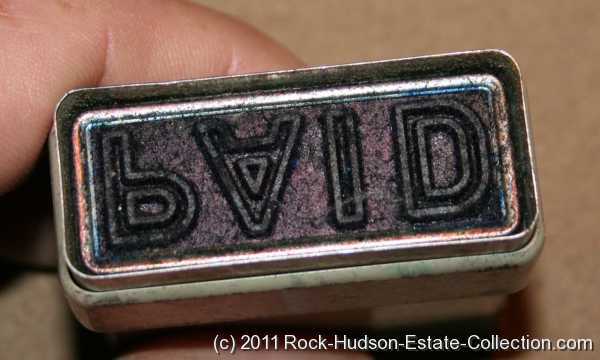 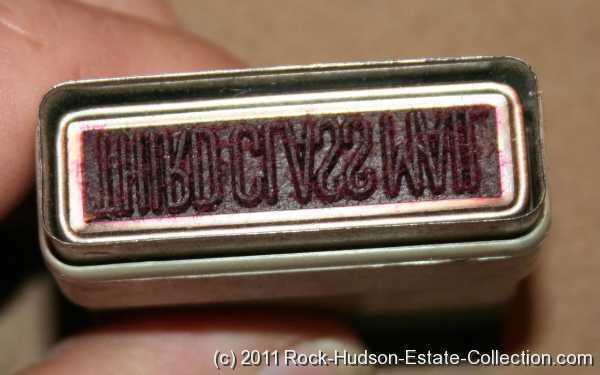 This is a rubber stamp from Rock's personal desk. 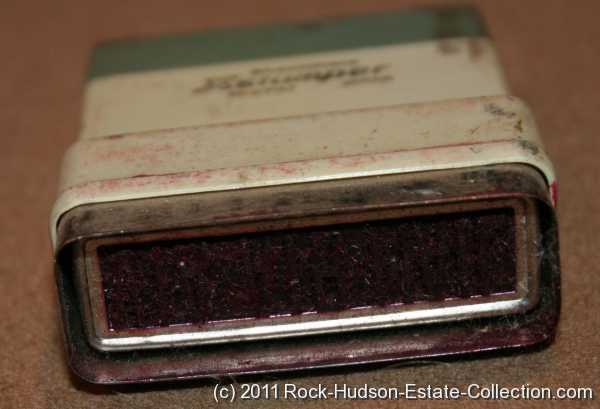 It is a very personal item and again, Rock used it almost daily. 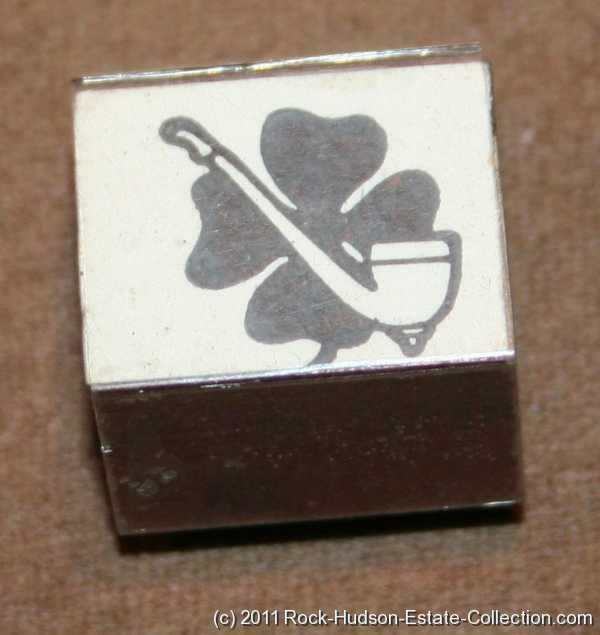 This stamp shows a "FOUR LEAF CLOVER AND IRISH PIPE", and you can see it was used often. 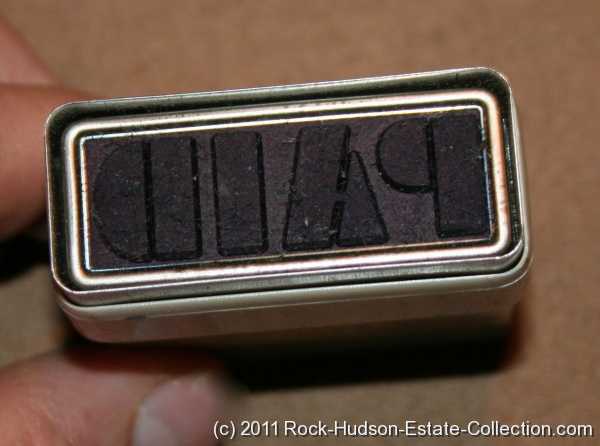 What a very Personal-Wonderful-Playful piece of Rock Hudson!! 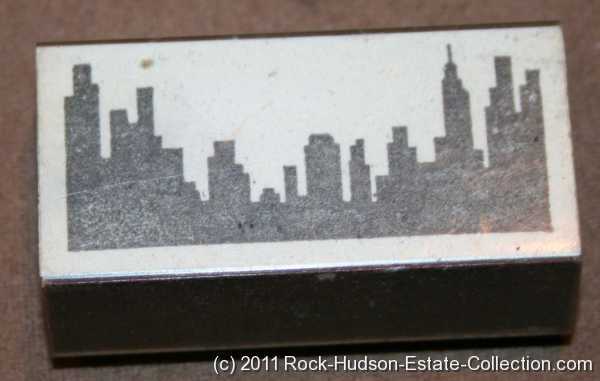 This stamp shows the "NEW YORK SKYLINE", and you can see it was used often. 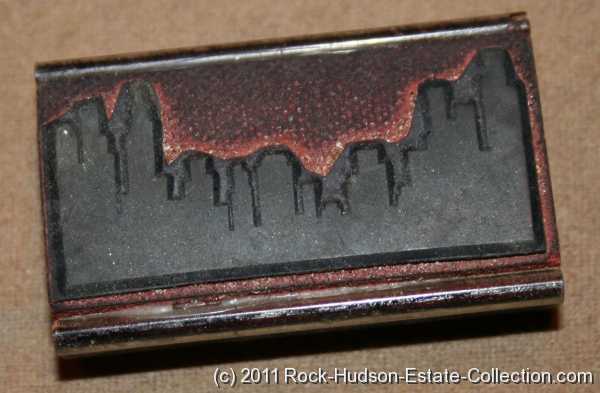 This one was for his New York Apartment, The Beresford # 19. 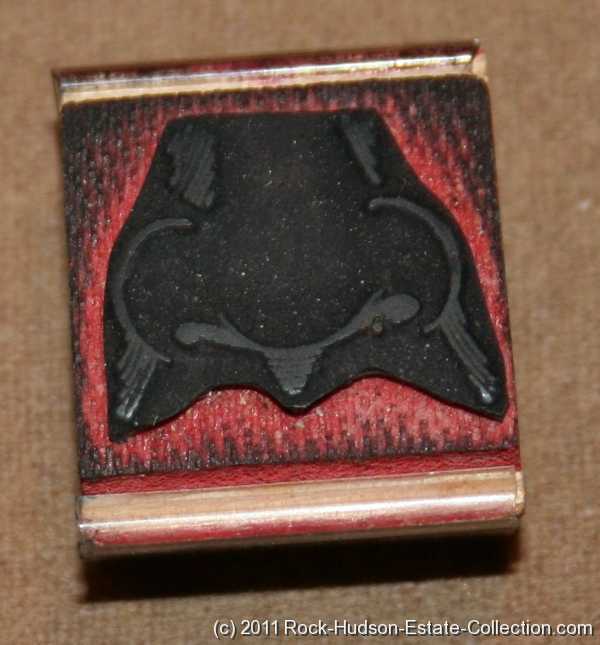 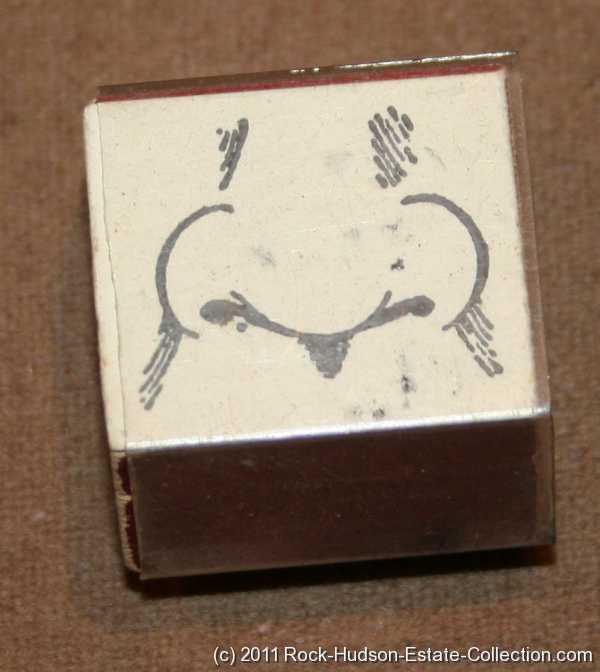 This stamp shows a "NOSE", (what it signifies, I don't know, I can only guess) and you can see it was used often. 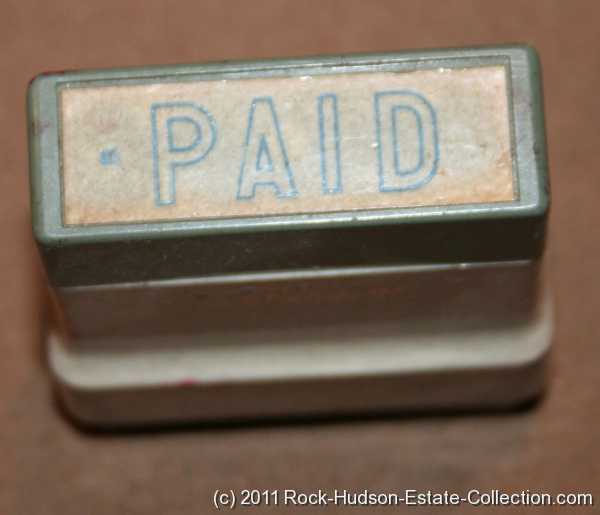 This stamp says "PAID", and you can see it was used often. 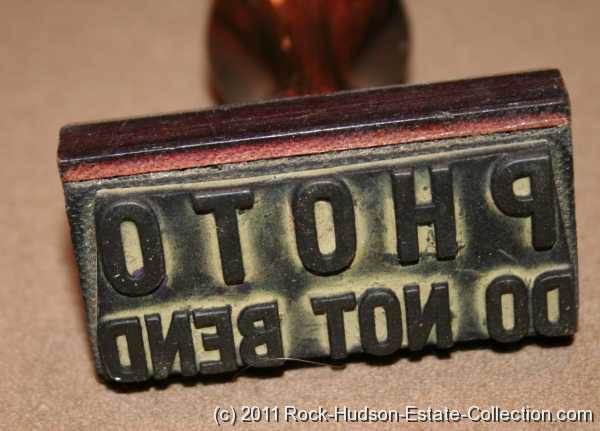 What a very personal-wonderful piece of Rock Hudson!! 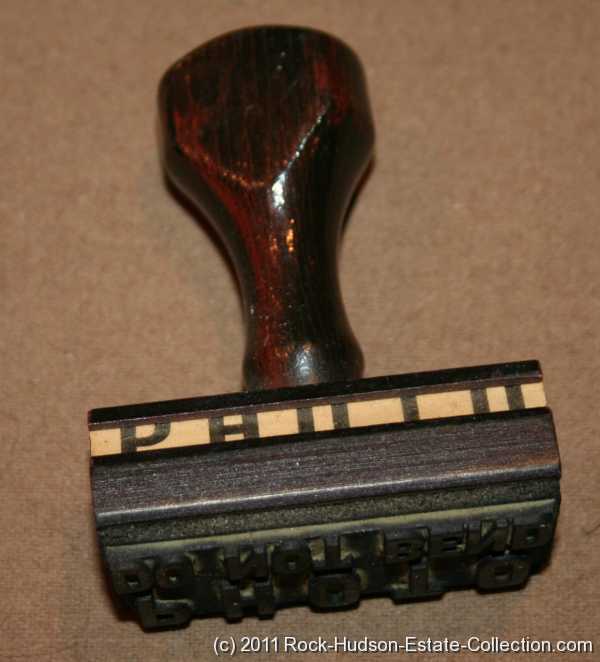 This stamp says "PHOTO DO NOT BEND", and you can see it was used often. 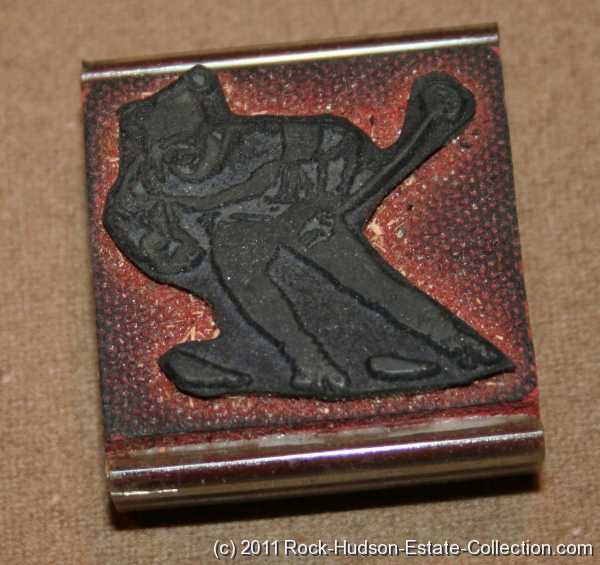 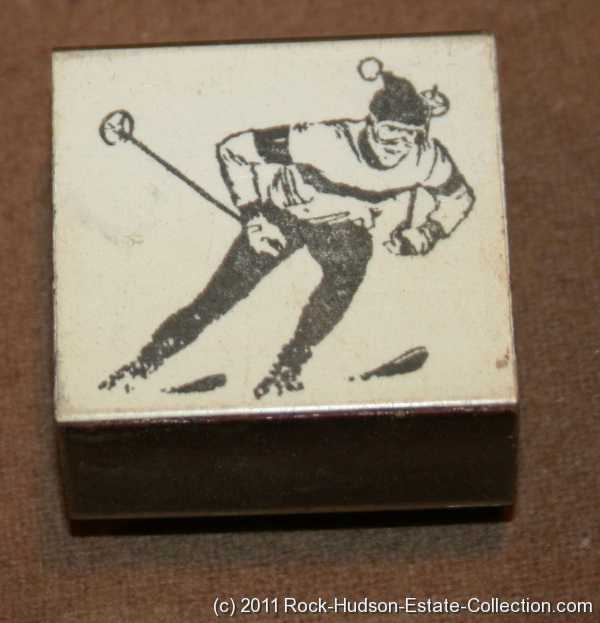 This stamp shows a "DOWNHILL SKIER", and you can see it was used often. 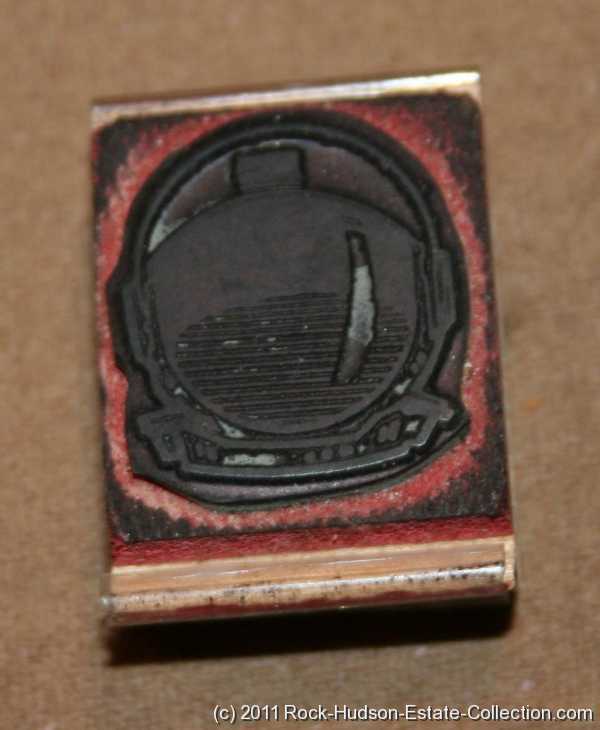 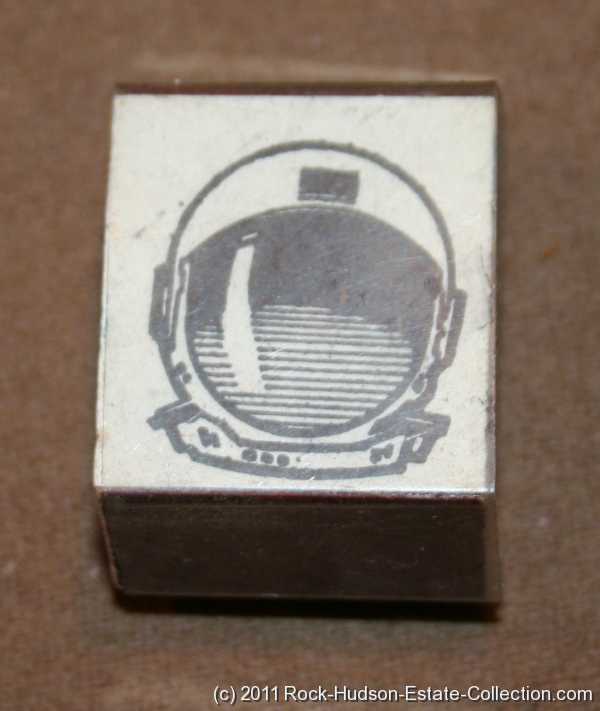 This stamp shows a "SPACE HELMET", and you can see it was used often. 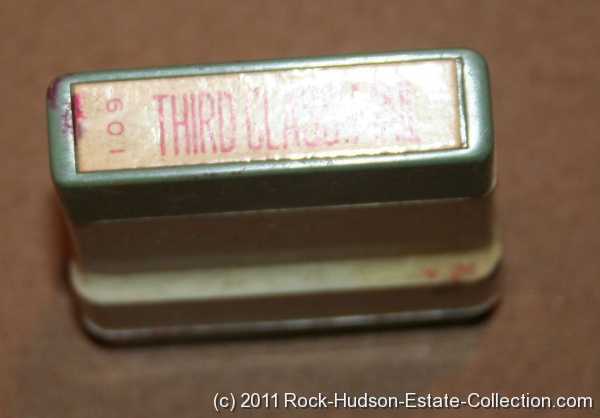 This stamp says "THIRD CLASS MAIL", and you can see it was used often. 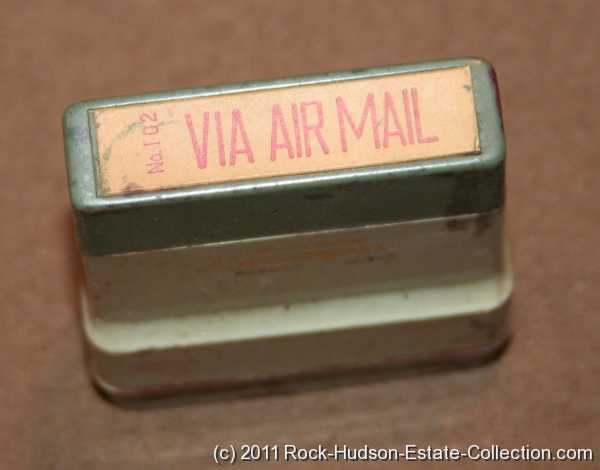 This stamp says "VIA AIR MAIL", and you can see it was used often.